Netflix and Hulu are two companies battling to change how consumers in the US view and interact with TV, but, for those outside of Western markets, no obvious Web TV contender has emerged despite a rapid growth in connected devices in markets like Asia, Latin America and the Middle East. Singapore-headquartered Viki is one company that aims to fill that void using a unique approach of crowdsourced subtitles. Today the startup took a significant step forward when it added two major US-based investors with extensive media experience to its list of backers with a strategic funding round. Viki isn’t announcing the vale of the investment but it has added Blake Krikorian — an executive with Microsoft’s Xbox team, who was formerly on Amazon’s board and is a founder of Sling Media — and Dave Goldberg, who is CEO of Survey Monkey, was formerly with Yahoo Music and is married to Facebook exec Sheryl Sandberg. In addition to the strategic round, Viki has also named two of its existing angel investors for the first time: Javier Olivan, Facebook’s VP of Growth and Analytics, and early Facebook employee Chamath Palihapitiya, who runs investment firm Social+Capital Partnership. Viki’s roster of already publicly announced backers includes Greylock Capital, Andreessen Horowitz, 500 Startups and angels like MIT director and Sony board member Joi Ito. Viki founder Razmig Hovaghimian told TNW that is he thrilled by the new additions. He believes their arrival ushers in a new phase of development for the company that will see it make a sustained push to carry more US content, and in particular films from Hollywood. “We’ve done well on Asian content , particularly from Korea and Japan, and you can expect us to keep adding more TV shows and films from Latin America and Europe too,” he adds. Backing up just for one second, for those who aren’t aware of it, Viki is a free-to-watch video site for users the world over. The service aims to open TV, film and music video content to users in every region thanks to its highly-engaged community of subtitlers who translate videos Viki licenses into over 150 languages to help international audiences overcome language barriers. Hovaghimian — who admits he spent weekends watching Bollywood content with his dad while growing up in Egypt, despite not knowing the words — shares a few unlikely insights: Middle East is the top region for viewing Korean movies, while Bollywood content goes down well worldwide, especially in Latin America — which accounts for 25 percent of traffic to Viki. Without subtitles, Hovaghimian believes movie and video consumption is largely restricted to domestic markets; so the opportunity to hit new demographics with global content is a win-win-win for Viki, its viewers and content producers worldwide. Simultaneously to the funding, Viki has announced that its community of (unpaid) subtitlers has now passed 400 million words translated, covering 163 different languages. All of this feeds back to today’s announcement, and the company’s desire to increase its push to license more content from the US for global consumption. Global audiences are often seen as a long-tailed opportunity for content makers, that’s to say that there is no single solid market to aim for — as is the case in the US and some European markets — since videos are watched by users across different countries, cultures and languages. Hovaghimian argues differently. With Viki’s subtitling, he maintains that there is room to grow a larger user base than either Netflix and Hulu, and rack up the kind of viewing figures that multi-channel networks enjoy. For example, Viki introduced Spielberg-produced sci-fi series Falling Skies — which has been a success in the US — to China last month, and the series is attracting around 10 million views per episode and proving popular for its three content partners there. That, Hovaghimian says, is twenty-times more viewers than pirate downloads — it means “we’re beating the pirates,” he says. Explaining one part of Viki’s special sauce, Hovaghimian says that subtitled content typically yields a 3-5X increase in users. Viki’s user base is hovering around 20 million monthly uniques, which he says he is growing by around 1 million per month; most impressively, however, Hovaghimian claims 80 percent are return viewers. 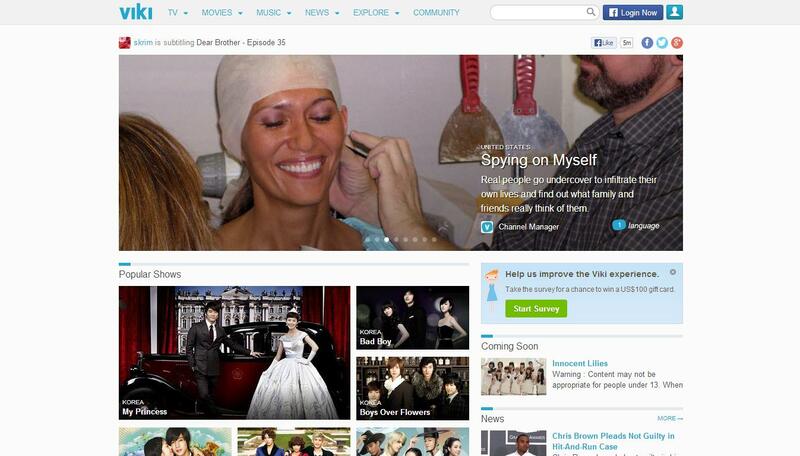 So with a sticky user base and impressive growth, Viki is lasering in on US content to fuel greater interest. 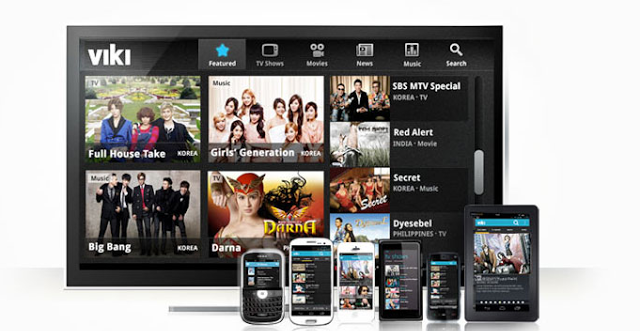 Over the next year and a half, we can expect the service to offer more Hollywood films, live-shows (broadcast TV that hits Viki an hour after first playing) as well as a continuation in regional content such as Korean dramas, Hispanic ‘Telenovelas’ — which were introduced last month following maiden content deals in Latin America — and more. To date, Viki offers some 50 different genres from around the planet. “We are the global version of Hulu and Netflix,” Hovaghimian says, hinting at the possibility of an upcoming push into the living room with a smart TV focus. Viki has raised nearly $25 million across two investment rounds to date, the most recent being a $20 million Series B in September 2011. But Hovaghimian reveals that the company is not currently planning another round and it has turned down several investment opportunities. Viki currently makes money two ways: the bulk comes through in-stream ads but it also licenses its subtitled content to the likes of Netflix and Hulu — the former recently broadened its partnership into Latin America, for instance. Hovaghimian doesn’t reveal revenue figures or the income made from either stream, but he does say that the company’s advertising business is “growing fast”. To that point, Viki is dealing with brands directly in some markets, while relying on ad networks in places where Web advertising is more nascent. He explains his belief that, for advertisers, Viki’s proposition is unique because it is offering content unlike no other — for example Korean dramas localized to Middle Eastern viewers — while it could, at some point, dip into the extensive data pile it has accrued around the kind of content viewers in regions and countries watch specifically. Access to such information would give brands a much-desired insight into audience behavior and chance to reach out with context. Viki has always admitted it is analyzing the potential of new business models — its redesigned real-time commenting platform, for example, could become a much-coveted platform for advertisers in the future — and Hovaghimian says a premium offering (to complement the free-view approach) is a possibility and has been much requested by users. Likewise, he says there has been considerable interest in branded channels for companies, and that remains another idea being assessed. He maintains that the basic offering will always be free, however, even if Viki did rollout a subscription membership for ‘selected’ premium content. Hovaghimian is bullish on Viki’s growth potential, conservatively maintaining that global video content is at least a 200 million user market, but he does admit that monetization is harder outside of the US. While he believes it can surpass the user bases of Netflix and Hulu — which stand at 38 million and 4 million paying customers respectively — he readily admits that topping either company on revenue is far trickier. Viki has deals with “hundreds” of companies including licensing agreements with NBCUniversal, Universal Music Group, Korea’s SBS and others. Its distribution agreements ago beyond Netflix and Hulu and include the likes of ‘China’s Facebook’ Renren, Microsoft, Samsung and more. Below is a sample of what’s on offer. This is episode one of Korean drama ‘My Princess,’ which includes subtitles in over 35 different languages — though some are still a work in progress.